Single location in the municipality Rüdesheim am Rüdesheim mountain in the German growing area Rheingau, The name goes back directly to a donation made in the years 1031 to 1051 by the Archbishop of Mainz Bardo, with which he returned to the winegrowers of Rüdesheim and Eibing Brachland clearing (Reute, Rotten, Roden = Roden) with which the viticultural use by planting of vines became possible. It is located on the western outskirts of Rüdesheim, very close to the legendary Rhine depth "Binger Loch". 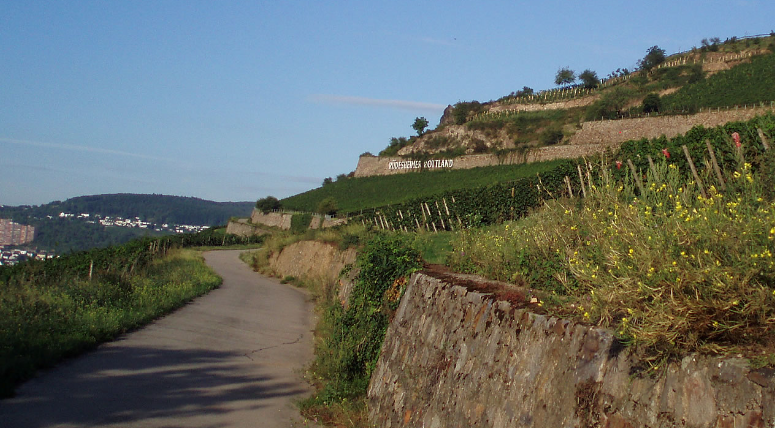 The vineyards extend west of the well-known brandy company Asbach below the rock head Ramstein. Through an extensive Land Consolidation in the 1950s, in the western area, the terraces eliminated and built new paved driveways. However, the core and eastern areas remained essentially untouched. This page was last modified at 3 March 2019 at 12:46.